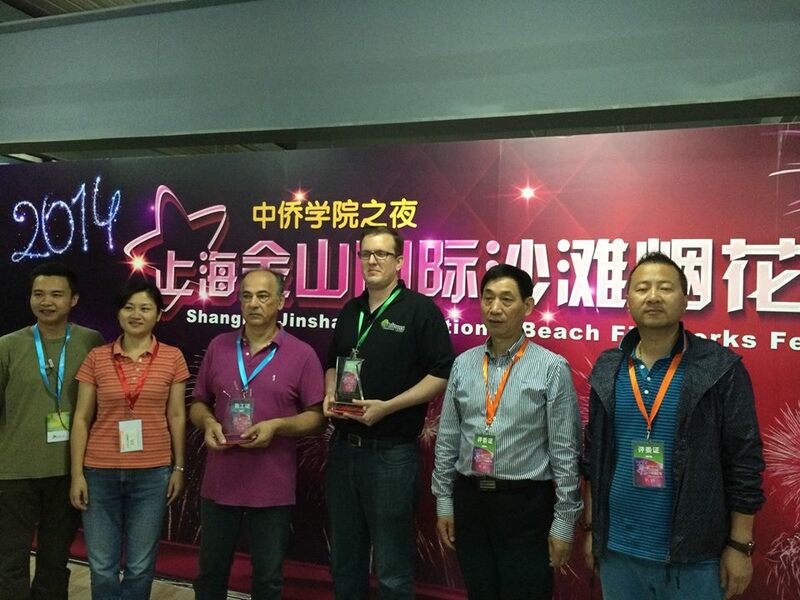 We are proud to announce that we recently competed and placed first in the 2014 Shanghai Jinshan International Beach Fireworks Festival! This is the third year that the Jinshan district has held the international festival in its beach city. The festival takes place the first two Saturdays of September each year. Melrose Pyrotechnics previously placed second during the premier festival in 2012!! 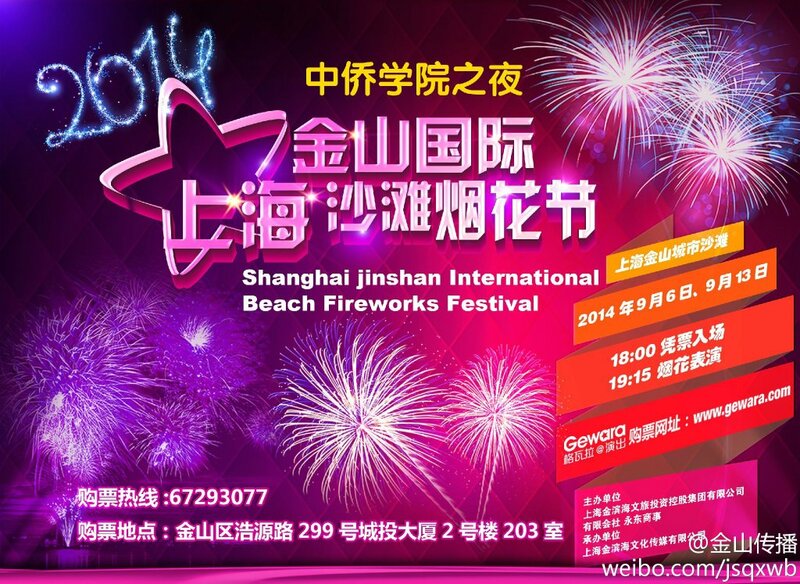 So What exactly is the Shanghai Jinshan International Beach Fireworks Festival, you may be asking? China invites the top firework and pyrotechnic display companies from around the world. This year, we competed alongside the top companies from Italy, Mexico, and China. Performances were viewed by an estimated 20,000 spectators between September 6th and September 13th in which the four teams displayed theatrical “Sea Light Shows.” Fireworks were launched from the outer dam of the beach in the East China Sea. Due to the open space the beach provides and the distance from light pollution, Shanghai Jinshan Beach has become the perfect location for firework competitions. Each year participating teams are able to choose a theme for their choreographed performances. This year, spectators were able to enjoy China’s “A Road of China,” Italy’s “A Bite of Italy,” Mexico’s “Concert Under the Stars,” and our personal favorite (as well as the judges) “Space Trip” displayed by Melrose. Keep an eye out for more pictures and video of our performance from the festival! « What’s in a firework, you ask!? 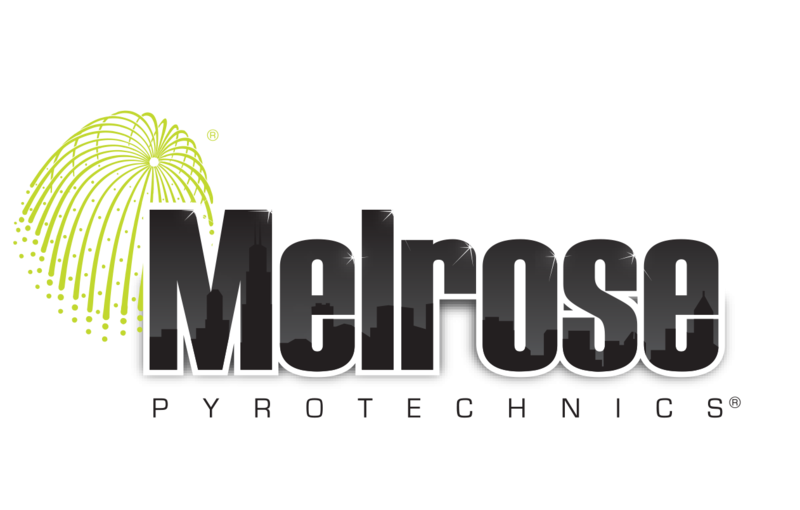 Merry Christmas from Melrose Pyrotechnics! What’s in a firework, you ask!? Kimberly Solis on Japan, Japan!!! melrosepyro on We’re new here!! L'International… on We’re new here! !